Having set the code of conduct – Katsura Chemical Quality, which stands for “supplying high-quality APIs for our clients while providing the highest standards of service”, as a manufacturer of drug substances we contribute to the health of people through medical products. Furthermore, we recognise the effects which our business activities have on our environment and therefore we take all possible measures to reduce the environmental impact, prevent pollution, and make a sustainable contribution towards our society. When improving the manufacturing method for newly developed and current products, we aim to reduce the use of substances which have a major impact on the environment, resources and the amount of emissions from waste substances. We ensure safe compliance with all the application requirements and regulations for conducting and monitoring work activities. We maintain a good relationship with the community neighbours by picking up litter around the company premises. Furthermore, we also contribute towards beautification measures aimed at protecting the environment of local areas. We make a concerted effort to reduce environmental pollution by preventing the emission of chemical substances into the air and emergence of leakages and unpleasant odours through well-maintained facilities and by strongly encouraging and promoting human resources training and development. 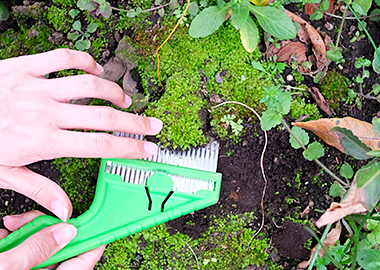 All our employees individually recognise the environmental issues as our business obligation and continually make an effort to increase and improve their technological skills and productivity. We regularly assess the PDSA cycle (plan-do-study-act) to ensure we achieve our aim of sustainable improvement. 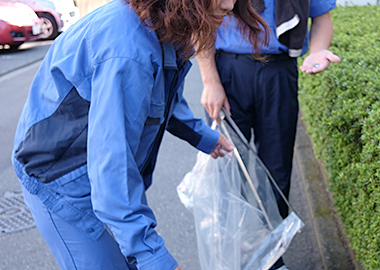 Our staff from each department takes it in turns to volunteer to pick up litter around the company premises three times per week. This is a good opportunity to meet our neighbours and communicate across departments in the company. As a company member of the association for beautifying the rivers in the Koza district, we participate in activities such as safety patrols along the rivers and beautifying the river environment. 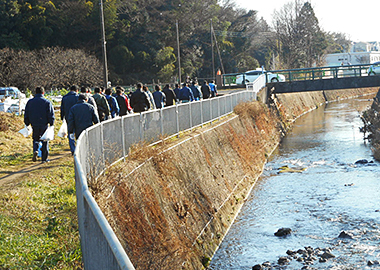 Such activities include inspecting the area around the Mekujiri river (into which the rainwater which falls on the factory is discharged) and also picking up litter in this area. People from various companies get together for these activities, and it is always a good opportunity to interact with them regardless of the type of business sector or industry. In October 2016, we received the certificate for environmental office management awarded by Kanagawa prefecture. Currently, we are the only office which has received this certificate in the city of Zama. It is, of course, our responsibility as a company which handles chemical substances to pay due regard to its management. However, it is also important to us to recognise the influence we have on the environment and proactively examine ways of reducing the environmental impact.